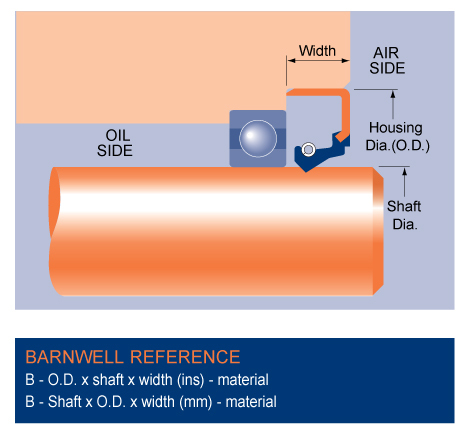 The Type B Oil Seal is often specified when a more positive housing fit is required. Particularly with heavy machinery where vibration and movement could be a consideration. No other form of housing retention is required, but use with high temperature aluminium housings should be avoided in case thermal expansion differentials could be a problem. Metal O.D., sprung single lip type shaft seal. PRESSURE RATING: 10 p.s.i. (0,7 Bar) max. For more information on our range of Oil Seals, download the catalogue or contact a member of the team.